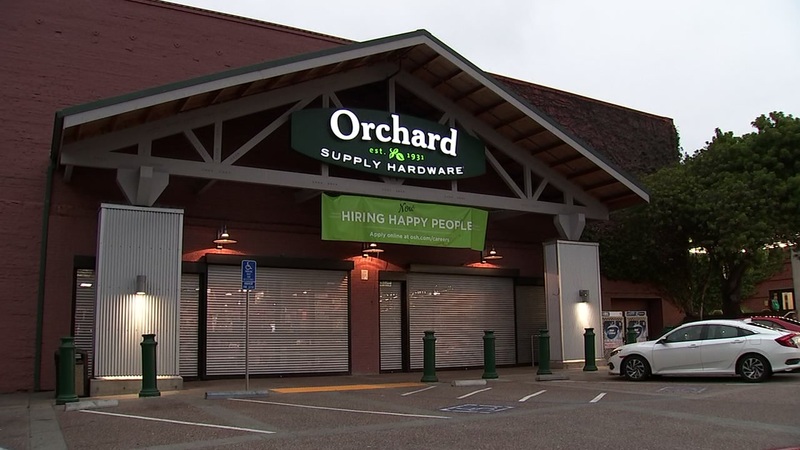 SAN JOSE, Calif. -- Orchard Supply Hardware is closing all of its stores for good and liquidation sales will begin this week. According to OSH's parent company Lowe's, all 99 OSH store locations in California, Oregon and Florida will close by the end of the fiscal year, which ends Feb. 1 for the company. Liquidation sales are set to begin Thursday, though it remains unclear how deep the discounts will be. The company was founded in 1931 in San Jose, and it was sold five years ago to Lowe's. Marvin R. Ellison, Lowe's president and CEO, released a statement saying, in part, "While it was a necessary business decision to exit Orchard Supply Hardware, decisions that impact our people are never easy. We will be providing outplacement services for impacted associates, and they will be given priority status if they choose to apply for other Lowe's positions." According to the San Jose Mercury News, OSH's 4,000 employees learned of the shutdown on Wednesday.